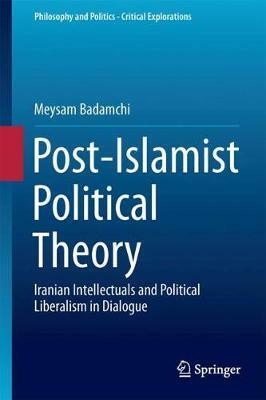 This book deals with the concept of post-Islamism from a mainly philosophical perspective, using political liberalism as elaborated by John Rawls as the key interpretive tool. What distinguishes this book from most scholarship in Iranian studies is that it primarily deals with the projects of Iranian intellectuals from a normative perspective as the concept is understood by analytical philosophers. The volume includes analyses of the strengths and weakness of the arguments underlying each thinker's ideas, rather than looking for their historical and sociological origins, genealogy, etc. Each chapter develops a particular conjectural argument for the possibility of an overlapping consensus between Islam and political liberalism, though the arguments presented draw upon different Islamic, particularly Shia, resources. Thus, while Shabestari and Soroush primarily reason from a modernist theological or kalami perspective, M.H.Tabatabai and Mehdi Haeri Yazdi's arguments are mainly based on traditional Islamic philosophy and Quranic exegesis. While Kadivar, An-Naim and Fanaei are post-Islamist in the exact sense of the term, Malekian goes beyond typical post-Islamism by proposing a theory for spirituality that constrains religion within the boundaries of enlightenment thought. Throughout the book, specific attention is given to Ferrara and March's readings of political liberalism. Although the book's chapters constitute a whole, they can also be read independently if the reader is only curious about particular intellectuals whose political theories are discussed.